Louis Armstrong & His All Stars features the seminal group performing live at two different locations in San Francisco, 1954. 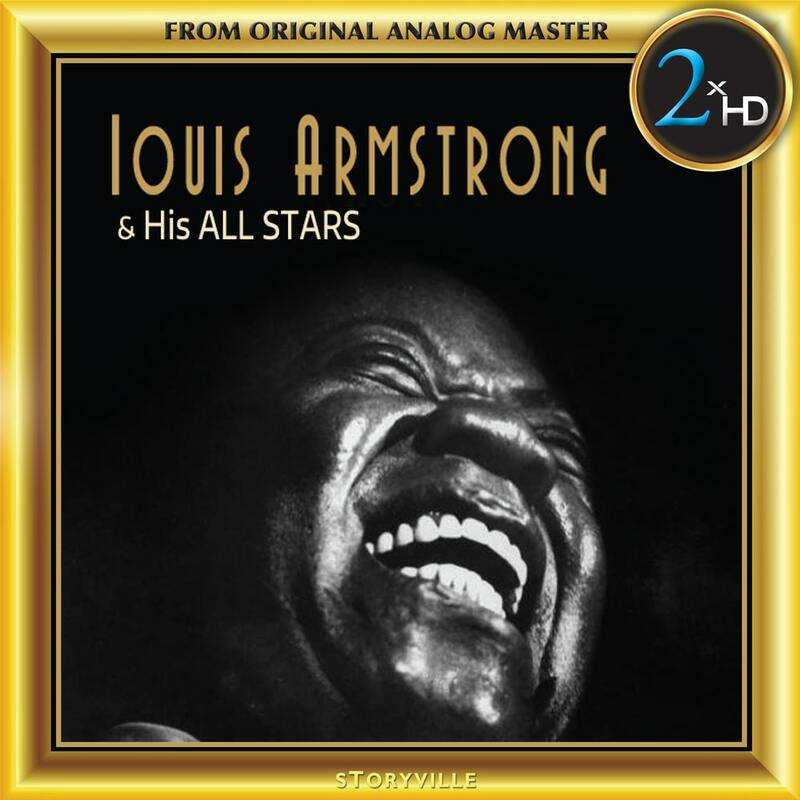 These recordings capture Louis and his cohorts at the height of their powers during two engagements (broadcast from the Downbeat and Hangover clubs) of the kind that often formed the All-Stars’ nightly round, and are seminal performances in the jazz genre. The mastering chain consists of a selection of high-end vacuum tube equipment. For the recordings on this album, the original ¼” 15 ips NAB and CCIR master tapes were played on a Nagra-T tape recorder, modified with high-end tube playback electronics, wired with OCC silver cable from the playback head direct to a Nick Doshi tube head preamplifier. The Nagra T, with its four direct drive motors, two pinch rollers and a tape tension head, has one of the best transports ever made. A custom-built carbon fiber head block and a head damping electronic system permit 2xHD FUSION to obtain a better resolution and 3D imaging. The resulting signal is then transferred into high-resolution formats by recording it in DSD 11.2 MHz using a Merging Technologies’ Horus A to D converter. All analog and digital cables that are used are state of the art. The 2xHD FUSION mastering system is powered by a super capacitor power supply, using a new technology that lowers the digital noise found in the lowest level of the spectrum. A vacuum tube NAGRA HD DAC (DSD) is used as a reference digital playback converter in order to A and B with the original analog master tape, permitting the fusion of the warmth of analog with the refinement of digital.